(The Associated Press) Some crisis communications manager cite BP as an example for poor damage control, citing the company’s handling of the Deepwater Horizon disaster in 2010. 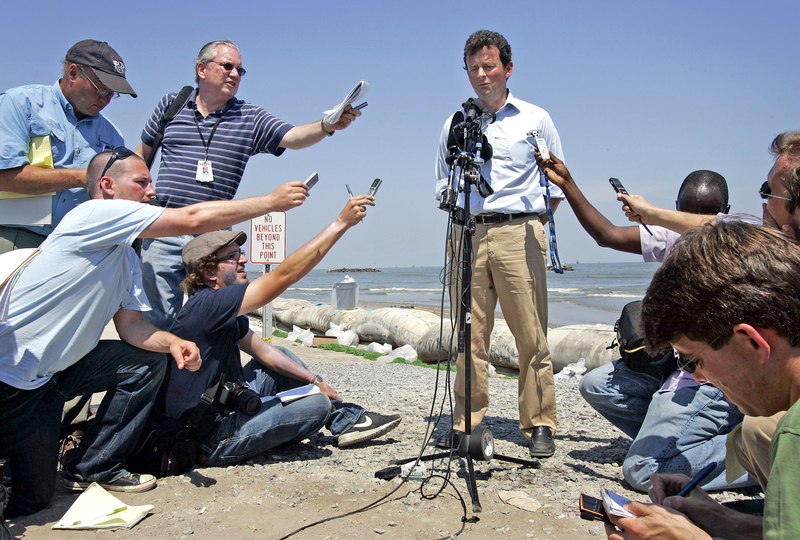 Tony Hayward addresses the media in Port Fourchon. Fires, environmental threats, explosions, leaks or even shifts in public opinion can thrust an industrial owner into the media spotlight faster than you can say “Deepwater Horizon.” Owners can no longer afford to stay quiet, or even worse, appear unprepared, tentative or unconcerned in the aftermath of a crisis. Mum is most certainly not the word. Experts frequently point to BP as the poster child for bad communications. Gary Meltz, a Washington, D.C.-based specialist in crisis management, says the company did just about everything wrong in the wake of the Deepwater Horizon disaster in 2010. Meltz spoke on the subject during Louisiana International Trade Week in November. BP is not alone. Other companies frequently make the same mistake, thinking the best “face” for their brand is the CEO or someone else in upper management. Instead, the right person might be 20 steps down the food chain, but an effective communicator who can relate to the community. As such, Meltz says owners should always have someone local as their spokesman. Read the cover story in the new edition of 10/12 Industry Report for more advice on how to handle a crisis in the industrial sector.